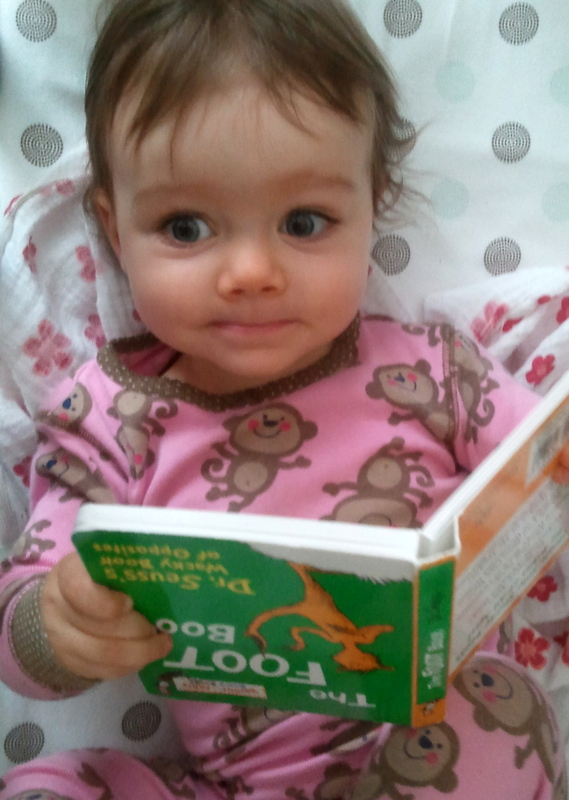 Baby Girl loves to read. I often find her in bed with a book. She reaches through the crib to the bookshelf, picks the closest beginning reader and pulls it back in the crib. She’ll lay there with one or two books for an hour or more, reading and talking. My heart is ticked to find her like this. On special occasions I’ve even climbed in a read the book to her. Yes, really. Me and her in the crib. I just finished a novel The 13th Tribe by Robert Liparulo. A modern day thriller of immortal vigilantes who interact with mere mortals. They call themselves the 13th Tribe of Israel since they were left to live endlessly on earth after worshiping the golden calf while waiting for Moses at the base of Mt Sinai. Liparulo weaves 3500 years of life with bible story, science and history into characters you ache for. One of the concepts that stuck with me was from the protagonist Jagger. He is challenged with the difference between believing God and loving God. He puts himself physically close to godly things in hopes he can reclaim the deep calming presence of God. I believe in Him, but can I say I’m in love with Him. Our English word love is complex, This video from Rob Bell looks at three Hebrew words from the Song of Songs that mean love (text version). The first is raya, translated as a friend or companion. Yes, I can say I raya my Lord. He is my friend, a safe place to speak and calming place to listen. The second Hebrew word is ahava, this communicates a choice of will…a commitment. Yes, I can say I ahava my Lord more often. My ahava (and raya) love grows when I choose Him over me (lots of intentionality needed here). The third is dode, a physical and intimate relationship….. Maybe a tiny yes, I dode my Lord. Honestly this love freaks me out a little a lot. I keep asking Him to unfold His dode love to me layer by layer.